6:30 a.m., 8:30 a.m., and 10:30a.m. 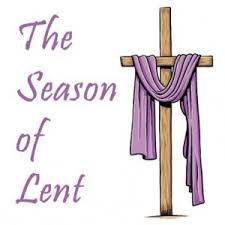 Ash Wednesday Service will be held March 6 at 7 p.m.
Each Wednesday from March 13-April 10, we will have a Soup and Salad Supper at 6 p.m. Service will follow at 7 p.m.
Wednesday, March 13: 6 p.m. Soup/Salad Dinner; Service at 7 p.m.
Wednesday, March 20: 6 p.m. Soup/Salad Dinner; Service at 7 p.m.
Wednesday, March 27: 6 p.m. Soup/Salad Dinner; Service at 7 p.m.
Wednesday, April 3: 6 p.m. Soup/Salad Dinner; Service at 7 p.m.
Wednesday, April 10: 6 p.m. Soup/Salad Dinner; Service at 7 p.m.
Children of Hope Preschool collects “Labels for Education.” Products such as BIC pens, Pace (Salsa), Campbell’s Soup, and Pepperidge Farms products often have these labels. The points earned will be used to buy classroom and playground materials. Labels can be turned in the church or preschool office. Any questions? Contact Lynn Hockenberger at 480-759-1515. Do you like to sing? Join our church choir! 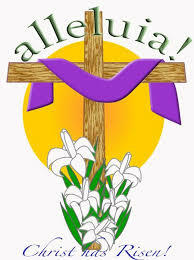 Promesa De Esperanza rehearses every Wednesday evening at 7:30 p.m. in the Sanctuary. Questions? Contact Robin Neely at robinc.neely@gmail.com.